TRENTON, N.J. — New Jersey lawmakers dealt a blow to the prospects of legal recreational marijuana use Monday, when the state Senate president postponed a vote after his and the governor's lobbying campaign failed to muster enough support in the chamber. But Democratic Senate President Steve Sweeney said the issue isn't going away, and though he didn't specify when a vote would happen again, he promised to hold one. "We'll be back at this, so anybody that thinks this is dead — they're wrong. 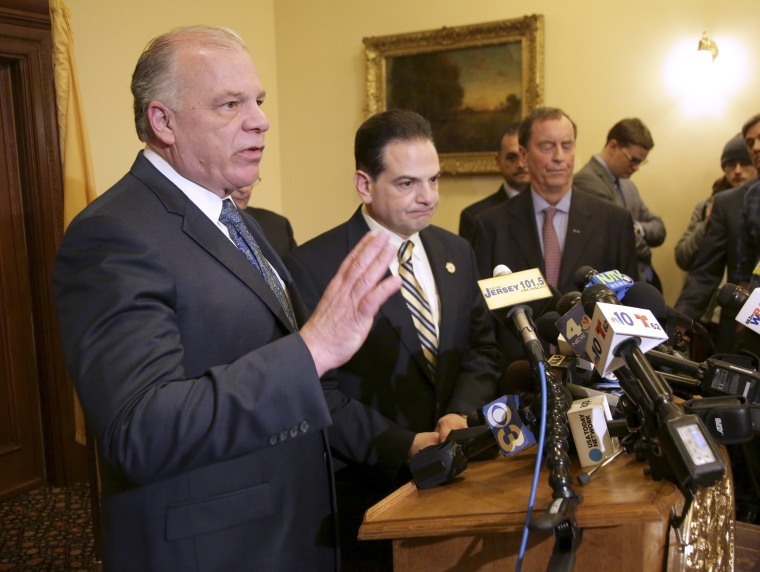 We're gonna get back, and one way or another we'll get this passed," Sweeney said at a news conference Monday. But it's not clear when or if that will happen despite the strong backing of legislative leaders and the Democratic Gov. Phil Murphy. The delay is a setback for the first-term governor, who campaigned on legalizing recreational weed and comes even though his party controls both chambers of the Legislature as well. Murphy had said he was burning up phone lines leading up to the vote trying to persuade enough lawmakers to back the measure that would have made New Jersey the 11th state to legalize recreational marijuana. After the delay in the Senate, the Democrat-led Assembly also decided to postpone a vote on the measure, according to Assembly Speaker Craig Coughlin's spokeswoman Liza Acevdeo. In a statement, Coughlin said he was "disappointed" the measure didn't get enough support and said he's committed to continue working to get it passed. New Jersey's Statehouse was a hive of supporters, opponents and TV cameras covering the stalled vote on the measure to allow those 21 and over to possess or buy up to an ounce (28 grams) of marijuana, as well as to expunge the records of many people convicted of marijuana crimes.